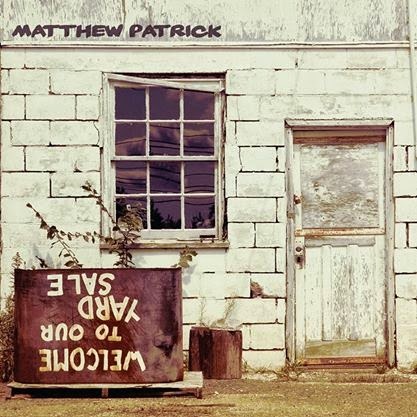 I just received the newest release, Yard Sale, from Matthew Patrick. Patrick is a talented singer/songwriter/guitar player and his talents are reflected in this release. Opening with Fly, a reggae rhythm pop track with well orchestrated vocal harmonies between Patrick and Jillian Trawick. Patrick plays some slick guitar riffs over Don Hoffman on organ and Andrew Diamond on drums. Howl At The Moon has a blues rock and not only features some nice slide work from Patrick but also some cool harp riffs from Brian Veditz. The Fool I've Got To Be has a real country rock flavor cut from the Ramblin' Man cloth. One Ride has a cool Latin rhythm highlighting David Kasochi on bass and Diamond on drums. Patrick again opens up on slide and his style is really nice. A pretty cool track, this is probably my favorite track on the release. Wrapping the release is the traditional track, Midnight Special, done along the lines of John Fogherty with a little bit of a reggae twist. A cool resonator solo on this track and the addition of Trawick especially gives a little more of a rural flavor. Very Nice.